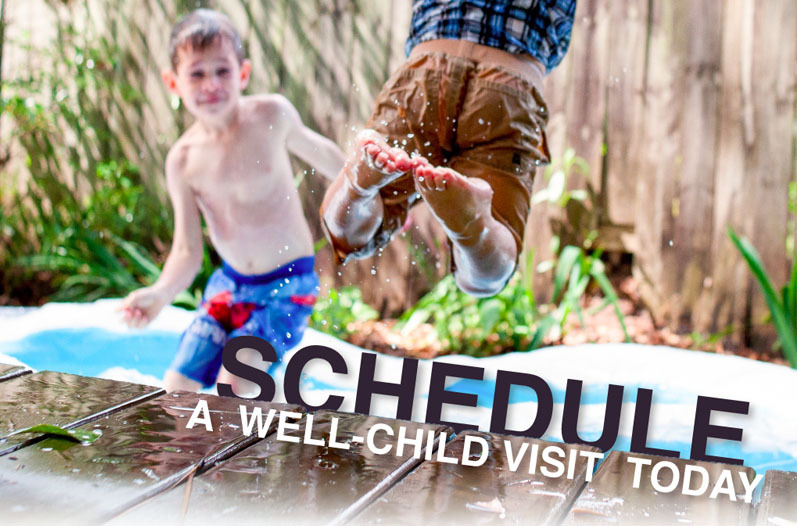 An annual well-child visit should be on every parent’s to-do list. Most parents take their children to well-child visits regularly as infants as toddlers, but these visits are just as important for older kids. Your child should have a well-child exam every year until they are adults. These visits focus on developmental milestones, nutrition, safety and your child and family’s emotional well-being. A well-child visit is also a critical opportunity to detect a possible developmental delay or disability, early treatment of which can lessen the future impact on both the child and family. The benefits of a well-child visit are many. They help prevent many illness through immunizations and by providing information on nutrition and safety in the home and at school. These visits track growth and development and allow you to discuss your child’s milestones, social behaviors and learning with your doctor. Well-child visits are a great opportunity to raise any concerns you may have about your child’s health, such as development, behavior, sleep, eating or getting along with family members. Your physician will look at several factors during a well-child visit. A basic physical exam will be given that includes looking at your child’s hips, knees and ankles, mouth and teeth, eyes, ears and nose, heart, abdomen, skin and possibly genitalia to assess sexual maturity. Your physician will ask about medical history, take measurements, such as height, weight, blood pressure, sensory screening of vision and hearing, give any immunizations and a dental referral, if needed. Your doctor will also ask about social and family history, including any changes since the last visit. The importance of nutrition and physical activity will also be discussed. The visit will give tips on concerns to be aware of during the next stages of development and milestones to celebrate through the next year. Well-child visits go beyond making sure your child stays healthy; they also create strong, trustworthy relationships between doctor, parent and child. The American Academy of Pediatrics recommends these visits as a way for both pediatricians and parents to serve the needs of children. Call our office to schedule well-child visits for your little ones today.